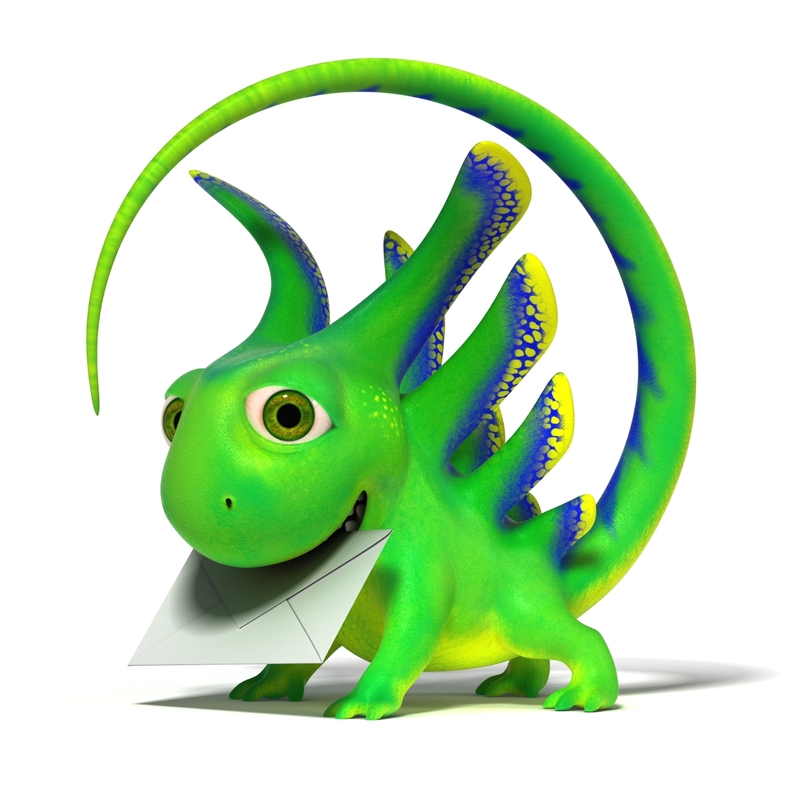 As I promised last week, I’ve studied my email dragon and I’m suggesting six steps to tame an email dragon. I understand how he grew to be such consuming demon. I’ve always had a decent volume of email. Once I published The Pendant’s Promise that decent volume increased dramatically. After all, I had a book to promote. I started a blog, signed up for FB and Twitter, and reader sites like Shelfari and Goodreads. As my visibility online grew, it compounded incoming mail. Type A that I am, I felt obliged to stay “on top” of these emails and be responsive to my readers and community members. Things quickly grew out of control. Then I discovered 900 emails in my inbox, I knew, clearly, it was time to tame the dragon. Here are the six steps I’m taking. How much incoming email am I receiving daily? What types of messages? How urgent are these emails, really? Total messages per day was close to 200. Few emails contain truly urgent information. Armed with these insights, I began to take action. My first course of action was to stop email at its source. Over time, interests and needs change. Yet I continue to subscribe to dozens of newsletters and blogs that aren’t pertain to my current activities. Systematically, I evaluated those newsletters and blogs I receive and unsubscribed to those that no longer provided information I need or want. The result: my volume of email shrank. Besides news and blog emails, I also receive a ton of social-media notices. LinkedIn sends an email each day. Facebook notifies me every time someone replies to a comment I’ve left or a friend updates his or her status. Each tweet also means an email. Each notification brings the temptation to waste time on social media sites. I’m rethinking those daily notifications. I generally visit the social sites at least once a day anyway. Instead of opening every email and reading a bit before deciding whether to delete, I now read the subject line, and if I suspect it’s something I don’t need to read, I delete it right then. We all have favorite blogs. I’ve come to realize I don’t necessarily need to read every post the bloggers put up. I used to save emails automatically because they were from X blog or newsletter. No more. For the majority of the 900 emails I had accumulated in my inbox I sorted by sender, read the subject lines, and simply deleted whole clumps of emails. Bye-bye — zap! — gone. Immediately, I felt a 100-pound weight lift from my shoulders. Most email programs offer an option where the user can set up rules to automatically route email to an appropriate folder. This saves time because only important emails show up in your main inbox. Caveat: This doesn’t work for me. I have a basic distrust of letting computers think for me. What if some time-sensitive email went to the wrong folder? I have all emails come initially into my main inbox. I employ #3 above and, if there is something I want to save in a folder for future reading, I move the email into folders I’ve created, same as I used to do when I was a Department of Army Civilian secretary. FlyLady says, “A kitchen timer is our friend.” She’s correct! I used to set my kitchen timer and limit my email time to fifteen minutes a.m., afternoon, and p.m. Mary Buckham’s comment suggestion on last week’s blog reminded me I needed to apply the timer again. My goal is to spend no more than an hour a day checking email. I want to delete, file, or respond to each message and move on to writing. Will these six steps completely de-flame my email dragon? I don’t know, but I do know applying them seems to be bringing him under my submission. YOUR TURN: How about you? What ways do you keep email under control?